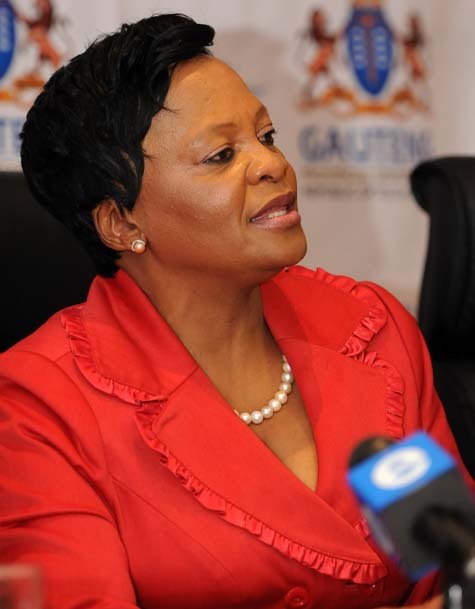 Residents of Bekkersdal on the West Rand were not ready to forgive Gauteng Premier Nomvula Mokonyane yesterday, saying she should keep her “dirty” apology. Speaking to The Citizen at a protest outside Westonaria municipal offices, residents said Mokonyane was still not welcome in the area after her “dirty votes” comment last month. “She was just too disrespectful and there’ll be no forgiveness for her – even with Christmas approaching,” said Bekkersdal resident Maria Monama. At the march yesterday, Greater Westonaria Concerned Residents Association spokesman Thabang Wesi said residents had requested that a national service delivery team be established in the area to deal with the grievances of residents. The Gauteng provincial government confirmed the team would be appointed to drive service delivery programmes forward faster on the West Rand, and the rest of the province. The Department of Cooperative Governance and Traditional Affairs said yesterday an administrator would lead a team comprising of senior officials from the department and district municipality to ensure an “inclusive and democratic outcome”. A forensic investigation was launched in terms of clause 106 of the Local Government Municipal Systems Act No 32 of 2000, following residents’ allegations of corruption on the part of that the Westonaria Municipality and Bekkersdal Urban Renewal Programme. Tsenoli added that Gauteng Department of Human Settlements and Cooperative Governance MEC Ntombi Mekgwe would gazette a notice, following due process, to appoint an administrator to accomplish a merger of Westonaria and Randfontein into a single municipality by 2016.